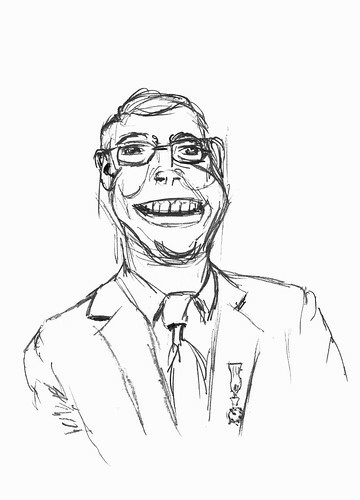 Saw this person in my local newspaper, and I was in a drawing mood, so I decided to draw him as a caricature sketch. Not bad since it is only my second caricature ever. This ink drawing is loosely based on this photo by bitterlemon, made on the Alternative Press Expo 2009. 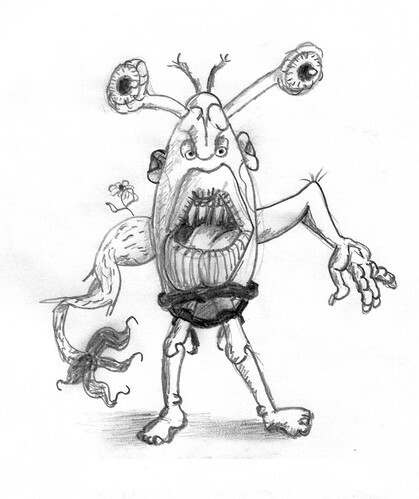 The drawing is made to support the sale of the collected trade comic book of PC Weenies, a webcomic by Krishna Sadasivam, for Geeks and people who can tolerate them. Challenged by his fellow comics creators and while he even doesn’t like it, Krishna grows a beard. Read more about it, and how you can support the artist in this post on his blog. 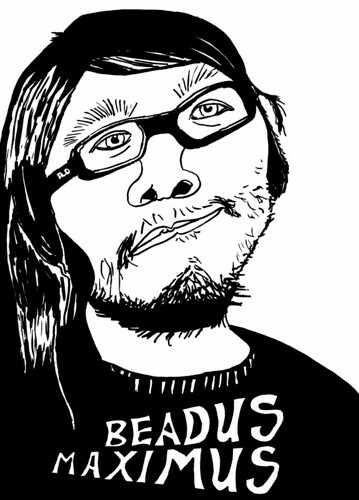 Basically, for each copy of the trade comic book “Rebootus Maximus” sold through the website Krishna won’t shave for a day. Let him look like a hobo and freak out his wife, who is currently on family visit for a few months in India. Process: The drawing was penciled with blue Pentel lead and inked with Faber-Castell brush pens (big the regular and big size). Once scanned, the blue lines were removed (CMYK separation) and the grays of the ink were converted into pure black and white, using Levels. Inspired by listening to the crossover show between the Art & Story and Big Illustration Party Time podcasts, called the Big Art & Story Party Time, I drew this piece of text art. 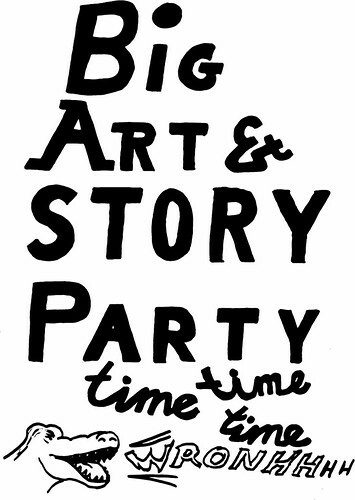 It took me as long to create as the listening time of Art & Story Party Time, part 6. I first penciled, then inked using both the small and big version of the Faber-Castell brush pen. Something that crept up out of my imagination. No pre-planning, just going with the flow.